In line with the draft Withdrawal Agreement, EU citizens* and their family members (including children) will be able to apply to the EU Settlement Scheme to continue living in the UK after 31 December 2020. This allows them to get a new UK immigration status that will protect their rights in the UK once the UK leaves the EU. The Home Office is putting in place a series of arrangements to accommodate the diverse needs of EU citizens who will require support. To ensure support is available, we want to enable community groups to play a vital role in supporting vulnerable or at-risk communities. We are doing this by providing guidance, a suite of communication materials and regular engagement activity for community groups. We are also providing grant funding for eligible voluntary and community sector organisations. This pack introduces you to the community leaders toolkit. 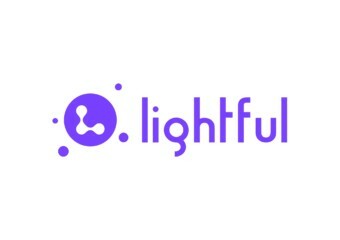 It will help you to use the communications materials and share them with EU citizens and their family members in your communities. These materials will also help increase your understanding of the EU Settlement Scheme and the important role you can choose to play in supporting EU citizens. The information in this pack is about the EU Settlement Scheme in line with the draft Withdrawal Agreement. This information relates to the scheme when it fully opens by 30 March 2019 and does not reflect conditions in pilot phases. ‘Find My Nearest‘ is an online directory, operated by Sandwell MBC, that lists a range of different services available across the borough. One of the services listed is that of free access to computers and support – simply enter your postcode and select ‘Computers’ from the dropdown menu to see what’s available near you. But the listings are only as good as the information available to SMBC…and that’s where YOU can help! SMBC has created an online survey to collect details of new locations offering FREE computer access and support, and for those organisations already listed to update their details. In an increasingly connected world, we want to see the best possible access for Sandwell’s residents…and this is a great way to help that happen. Whilst we’re still none the wiser about the outcome of ongoing Brexit negotiations, there is an ever-increasing amount of information being distributed along the lines of “what to do if…“. 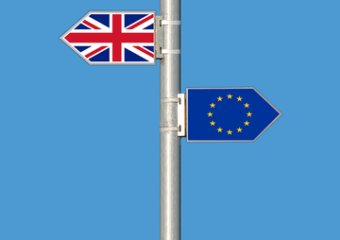 Brexit Civil Society Alliance: https://www.brexitcivilsocietyalliance.org – The weekly newsletters are essential reading, and include links to many other resources. National Council for Voluntary Organisations: https://www.ncvo.org.uk/policy-and-research/europe – Factsheet, videos and up to date blogs. Prepare your business for the UK leaving the EU: https://www.gov.uk/business-uk-leaving-eu – For businesses and organisations. Includes exporting; importing; sale of goods and services and data protection; contracts of employment and working hours; and more. Prepare for EU exit if you live in the UK: https://www.gov.uk/prepare-eu-exit – For individuals. Covers going and being abroad; transport; business and industry; work; environment; education, training and skills; health and social care; and parenting, childcare and children’s services. Continue to live in the UK after it leaves the EU: https://www.gov.uk/staying-uk-eu-citizen – For EU nationals living in the UK. Office for Civil Society: Preparing for EU exit: https://mailchi.mp/9f803351c85a/preparing-for-eu-exit-471359 . Briefing for voluntary organisations, covering the government’s public information campaign on EU exit; data protection in a no deal scenario; the settled status scheme; EU funding; Erasmus + and European Solidarity Corps; and sources of further guidance. This has a Mailchimp link because it was sent to Office for Civil Society email subscribers. It does not appear to be on the OCS website, and was not in their RSS feed. To sign up for OCS emails, go to https://www.gov.uk/government/organisations/office-for-civil-society.atom and click on the link about one-third of the way down. Information Commissioner’s Office: https://ico.org.uk/for-organisations/data-protection-and-brexit/. A range of resources. Matheson Solicitors: Brexit and contracts: https://www.matheson.com/news-and-insights/article/brexit-and-contracts-a-practical-guide. Issues if contractual obligations become difficult or impossible to perform because of Brexit. Third Sector – How a no-deal Brexit would affect charities: https://www.thirdsector.co.uk/no-deal-brexit-affect-charities/policy-and-politics/article/1562886. Implications for staff, the economy, investments, and international development charities. Mills & Reeve solicitors – Government confirms charity shops can sell CE marked goods after ‘no deal’ Brexit: https://www.charitylegalupdate.co.uk/2019/03/government-confirms-charity-shops-can-sell-ce-marked-goods-after-no-deal-brexit.html. Department for Exiting the EU – How to prepare if the UK leaves the EU with no deal: https://www.gov.uk/government/collections/how-to-prepare-if-the-uk-leaves-the-eu-with-no-deal. Fairly detailed guidance on a wide range of issues. This link was in my update 1823 but I’m repeating it here in case the UK leaves the EU on 29 March without a withdrawal agreement, and therefore without a transition period. ‘Do you have what it takes to join us’ – CVT Shared Lives looking to recruit Paid Carers to an innovative new Scheme across the Black Country. 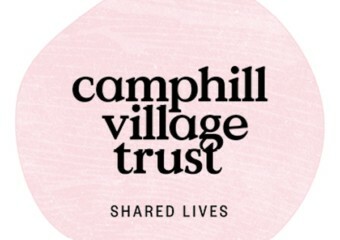 National charity, Camphill Village Trust, has recently been awarded the contract to deliver a Shared Lives Scheme on behalf of Dudley MBC, and are looking to recruit paid Carers to significantly expand this innovative service across the wider Borough and surrounding Black Country areas over the coming years. As a starting point, Shared Lives is sometimes described as being similar to providing ‘foster care for adults with additional/complex needs’…but it’s so much more than that, as you support the Person to make choices and decisions, maximise independence and lead an ordinary life at the heart of the community just like you and me. Being a Shared Lives Carer, you encourage the Person to develop practical skills, build self-esteem and develop new friendships and social networks in the neighbourhood, which creates a sense of belonging. CVT Shared Lives will provide a comprehensive induction programme and on-going support to ensure that the highest quality of care is maintained throughout each Shared Lives Arrangement. An Enhanced DBS Check and references are also required. Training will take place in your own home, via e-learning and also as a group at our community hub in Stourbridge. The Assessment process can take between 3-6 months. Once approved by an Independent Panel, you are carefully matched with a Person who comes to stay/live with you on either a live-in, short-break or day-support basis…it’s such a rewarding role!!! 96% of all Shared Lives Schemes inspected by the Care Quality Commission are rated as Good or Outstanding as people are known to lead longer, healthier, happier lives when living in the community. Not only is Shared Lives more cost effective but it also provides a viable alternative to other long-term settings such as hospital or residential care. You must be over 21 years of age and don’t need any qualifications or experience, just the right values, commitment and of course…..a spare bedroom. If you don’t own your own home, you will need to ask your landlord’s permission to use your property as a Shared Lives Arrangement. As a Shared Lives Carer you can be paid from £370 – £560+ per week, depending on the level of support you provide to the Person who comes to stay/live with you. That works out between £19-29K annually, as well as qualifying for tax relief and receiving four weeks respite. Friday, February 8th 2019 saw the Rowley Regis Community Awards 2019 take place in Cradley Heath, attended by 260 delegates. On behalf of Sandwell Community Hubs and Sandwell Council, I would like to thank everyone for coming together to celebrate the Rowley Regis Community Awards 2019, which took place on 8th February 2019 and was attended by 260 delegates involving representatives of the local council, community sector, local businesses, the nominees and the finalists of the community awards. I would also like to take this opportunity to thank the Independent Awards Panel Members- Cllr Susan Eaves, Prabha Patel (SMBC Neighbourhood Manager), Paula Cope (TESCO) & Sergeant Cheryl Reed (WM Police) for their involvement in the awards process. Following the event, we have had a number of emails and phone calls with positive feedback. Cllr Julie Webb said “this event was so special to so many people. It was long overdue. I look forward to next year’s event”. “A huge thank you and congratulations to everyone involved in arranging such a splendid evening. Receiving the award has done wonders for the volunteer team who are justly proud of being recognised for their efforts to support artists in the community”, said Harry Bloomer from the Art Yard. “Just wanted to say a big thank you for the awards ceremony, which we attended on Friday, and was awarded the Community Partnership Award,” said Pauline Withey from Agewell. “Thank you for an Amazing Evening at the Rowley Regis Awards Ceremony. It was an absolutely fabulous event – so good to see so many outstanding volunteers praised for their hard work. The finalist Certificates were well received. Many thanks for organising this event” said Norma Hyde from Special Olympics Sandwell. “I would just like to show my appreciation for a lovely evening. It was a very enjoyable evening” Tracy Lowe, the winner of Outstanding Volunteers Award. Community Special Award: Daya Singh Nagi (Christine Smith). Smethwick Community Awards 2019: Nominations now open. Nominations are now open for the Smethwick Community Awards 2019. This is an opportunity for local people and community organisations to be recognised for their outstanding contributions to the Smethwick town and its people. The Smethwick Community Awards 2019 is organised by the Sandwell Community Hubs in partnership with the Sandwell Council. Outstanding Volunteer Award: Someone whose volunteering makes a huge impact on the local community. Outstanding Young Person Award: A young person who makes a positive contribution to the local community. Outstanding Good Neighbour Award: Someone who helps their neighbours & makes a difference to someone else. Outstanding Community Project Award: A community project that makes a difference to the local community. Outstanding Community Organisation Award: A community project/organisation that makes a difference to the local community. Outstanding Partnership Working Award: A Group has shown that partnership working has had a positive impact. Community Special Award: An individual that has contributed positive lifelong service to the area. To enter, all projects or services must take place in the town. All entries will be judged by an independent panel involving local councillors and businesses. Deadline for the Smethwick Community Awards 2019 is Friday 1st March 2019 at 11:30 pm. Please visit www.sandwellchc.org/community-awards to submit your nominations.